Once a week Reid Traditional Schools’ replication team gets together with DL Withers Construction to oversee the progress of the Painted Rock Academy building project. 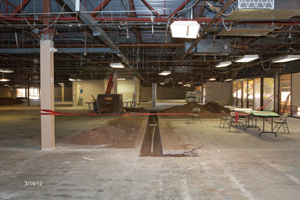 These “hard hat meetings” take place on site, often at the folding tables at right, and always include a tour of the project inside and out. 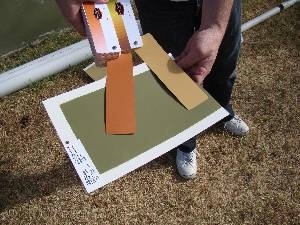 Outside, paint samples are viewed in the bright morning sun for final selection of the exterior color scheme. A small number of trees had to be removed. 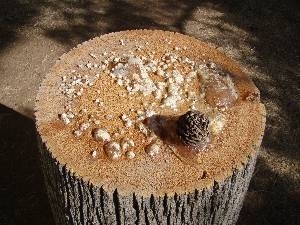 This stump oozed sap for several days, catching pinecones and other debris on its sticky surface. 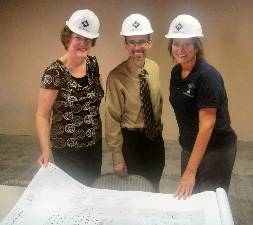 It’s our first hands-on science lab at the new campus!